Good morning ... And welcome to Day 3 of the government shutdown. The Senate is scheduled to vote at noon on a bill to reopen the federal government and, yes, fund the Children's Health Insurance Program. Yes, but: As of the moment we're hitting "send" on this email, there is no actual deal yet — just a plan to vote, while talks continue. "[I]t appeared unlikely that the proposal — which would link a three-week extension of government funding to the consideration of an immigration bill in the Senate — would be enough to quickly break the impasse without the support of top party leaders or President Trump, who showed no sign of backing off his hard line on immigration." In the health care world, this means CHIP remains in limbo and, barring a breakthrough later today, half of the Health and Human Services Department's workforce will be told to stop doing their jobs. The HHS employees who help states access remaining CHIP funding will stay on, per the department's planning outline. Whenever Congress actually passes a bill to reopen the government, it will likely delay some of the Affordable Care Act's taxes. This is chipping away the revenues that were supposed to help pay for the law's coverage expansion, my colleague Caitlin Owens notes, but most of the law's major revenue-raisers are still intact. Sound smart: The most significant delay from a budget perspective, especially over the long term, is of the Cadillac tax. Conservative health expert Chris Jacobs estimated that about 20% of the law's revenue-raising provisions have been delayed or repealed. "The real question going forward is whether Congress finds new savings or revenues to offset any repeals or delays in ACA taxes, or whether it just lets the deficit go up," the Kaiser Family Foundation's Larry Levitt tells Caitlin. It’s not the dosage that increases a patient’s risk of getting hooked on opioids. It’s the length of the prescription, according to a study published last week in the BMJ journal (h/t Becker’s Hospital Review). It found that a single refill of an opioid prescription increase the risk of misuse by 44% — far higher than any links to the dosage patients were given. Why it matters: Doctors still don’t have a lot of guidance on how their prescribing habits might contribute to the opioid epidemic, per the BMJ. This should at least give them a hint. Human factor: Rock star Tom Petty was a victim of the opioid epidemic, the Los Angeles Times reports. And, to understand the story of one family's struggle, read this New York Times feature. A board member at the University of North Carolina is questioning the legality of the merger between the school’s hospital system, UNC Health Care, and Carolinas HealthCare System because executives held clandestine talks before informing the board, according to the Charlotte News & Observer. Key quote: "The Manhattan Project wasn’t as well-kept a secret as this was,” UNC board member Tom Fetzer told the newspaper. Context: Fetzer is a registered lobbyist for Blue Cross and Blue Shield of North Carolina, the largest insurer in the state — which could get squeezed in payment negotiations if the merger is cleared. He also represents WakeMed, a hospital system that competes with UNC. Get smart: Axios’ Bob Herman covered this large deal when it was announced in August. He says the systems face even bigger questions than secretive talks — namely, whether the deal will pass federal antitrust muster, and how the systems will prove that their merger would lower consumers’ costs. Speaking of Bob, and lobbyists, he was sifting through federal lobbying documents last week and noticed that several health care companies with large pending acquisitions have hired lobbying firms to bulk up their influence. CVS Health tapped the new Klein/Johnson Group to advocate for its acquisition of Aetna. The lobbying firm has deep ties to the Senate — it was founded by a former top aide to Democratic Sen. Chuck Schumer and Republican Sen. John Cornyn’s former chief counsel. Beth Israel Deaconess Medical Center and Lahey Health System — two large, not-for-profit, Boston-area hospital systems that are in the process of merging — hired ML Strategies. Massachusetts is scrutinizing their merger closely, and ML Strategies has a stable of influential names in Massachusetts politics. Between the lines: All three of these clients hired lobbying firms with significant ties to people who look at mergers and antitrust matters. They’re pushing hard to get their deals across the finish line. Legal immigrants are avoiding the health care system because they're afraid their personal information could be used to find and deport undocumented relatives, the AP reports. Sanofi is close to paying almost $12 billion to acquire drug maker Bioverativ, according to the Wall Street Journal. The U.S. health care system — particularly its trend toward higher out-of-pocket costs — is making income inequality worse, The Atlantic argues. China is far ahead of the U.S. in testing the potential of new gene editing tools, thanks to a comparative lack of regulations about using the technology on humans. The WSJ has the story. 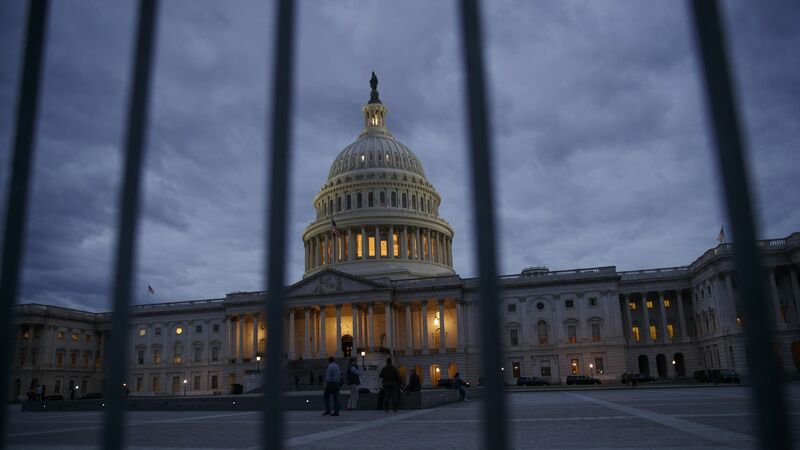 What we're watching this week: The shutdown drama. Say hello: I always want to hear your feedback, questions, tips and suggestions: Simply reply to this email, or find me at baker@axios.com.